Through the various activities in this fully reproducible book, teachers will be able to develop their students' analytical and thinking skills, creativity and multiple intelligences as well as improve exam performance. The activities in the book are based on the CD of five original stories that is included with the book. 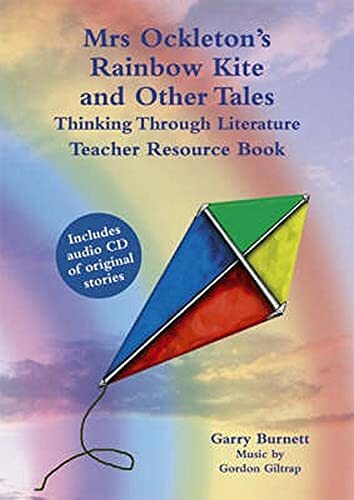 These stories provide an exciting and accessible opportunity to develop students' emotional and intellectual responses to fiction and their ability to select and organize information, and read, write and think imaginatively. Particular attention has been paid to ensure that the stories appeal to boys as well as girls. AIl the activities are described with clear learning objectives for the teacher and the student. For ages 11-14. Garry Burnett has spent twenty years working in Yorkshire schools as head of English, LEA advisor and project leader for the Campaign for Learning's project Learning to Learn - Research and Development. He is currently an Advanced Skills Teacher at the Malet Lambert School in Hull. He is actively involved in the national Campaign for Learning and regularly leads training sessions at local, national and international level.